Successfully Added 9 Inch Headrest TFT-LCD monitor with pillow 16:9 format to your Shopping Cart. 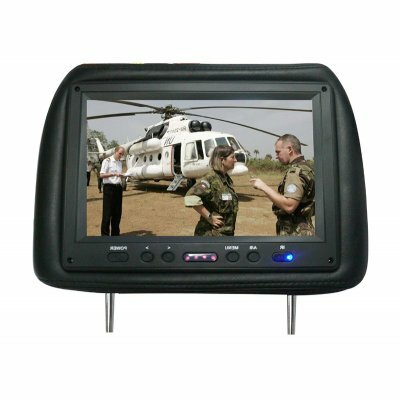 Large 9 inch widescreen 16:9 car video monitor built into front seat headrest. Available in any quantity including sample pairs. Please specify in the order checkout comments box which colour you need each pair in: grey.. Distance Between Poles: 150mm. Not Adjustable.